Have You Caught Rapture Fever? If your physician told you that you probably have only a year to live, would you apply to graduate school? Silly question, isn’t it? Of course you wouldn’t. With a year to live, it would be foolish to begin a long-term educational program that will cost you a lot of money and use up the precious time you have remaining. If you have read in a prophecy book that Jesus will probably return before the year 2000, would you apply to graduate school? Not if you believed the book. Time is too short. The gains would be too far away in time. Question: Should you believe the book? For over 160 years, pastors, and authors have been telling Bible-believing Christians that Jesus is coming soon to “rapture” His Church to heaven. This means that nothing a person can do to build a legacy on earth will survive the 3.5-year Great Tribulation period that will begin 3.5 years after the “secret” Rapture. This means that an investment in graduate school or any other long-term capital project is a very high-risk investment. Here is a major reason why modern fundamentalism has not built universities, medical schools, law schools, and all the other institutions that produce wealth and leadership in the modern world. This is why fundamentalist Christians have been sitting in the back of humanism’s bus for over a hundred years. They believe that the Church’s time on earth has just about run out. They are willing to make sacrifices only for projects that will pay off in the short term. 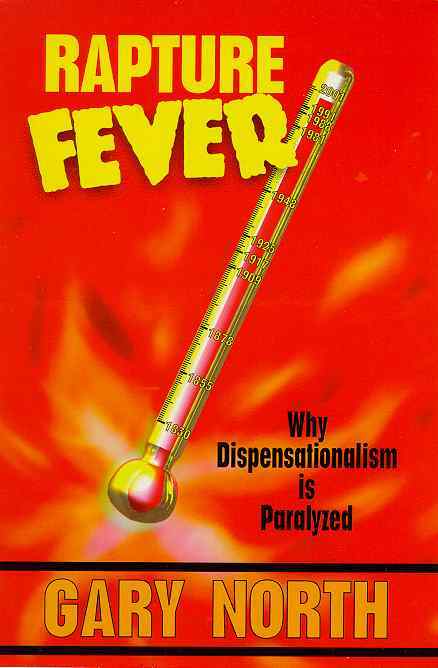 They have been paralyzed by Rapture Fever. Rapture Fever is a study of the paralyzing effects of a doctrine that was invented in 1830. It shows why millions of Christians who have accepted this doctrine have walked away from great opportunities because they regarded these opportunities as heavy responsiblilites. Evangelical Christians have voluntarily handed power over to their enemies. Their enemies have a concept of the future that spans many generations. It is time to reclaim the future for the Church of Jesus Christ, and in doing so, reclaim the present. It is time to seek the cure for Rapture Fever.